This was the week I was dreading most of all, all of the fun things we had planned we had already done, and what was left on the list no one wanted to do, or the weather didn’t permit. On top of that we had three major events to host/attend all sandwiched back to back with far too little breathing room in between. All with raging PMS. Today, even with the considerable foot dragging on the part of my oldest, the kids are back in school. I’m too burned out from the past three weeks to do the happy dance that this occasion deserves. Maybe tomorrow. I can content myself with the fancy chocolate I hid away instead. I wish I could say that we did some really fun new things this week, and in some ways we did. One of the events that we hosted was a sleepover for my son and his cousins to celebrate his birthday. They stayed up late watching movies and playing Minecraft and having a great time. We finally got them to bed around 11:30 – which was a good thing because they woke up at 5:30 (yes, in the morning – eeek!) to plug back in and play more. We asked them to please sleep a little more so they wouldn’t be super cranky the next day. You can imagine how well that worked. At least they were downstairs and behind closed doors so we could barely hear them. We did the Planetarium one more time, this time seeing the Rocky Mountain Railroad movie on IMAX. Out of the latest three this one was my favorite, beautiful cinematography, epic landscapes, great history, and awesome music (and free popcorn!). Even the youngest sat for most of it, although I’ll admit it might be because the train whistles and noises might have scared him a little. I’ll take what I can get. 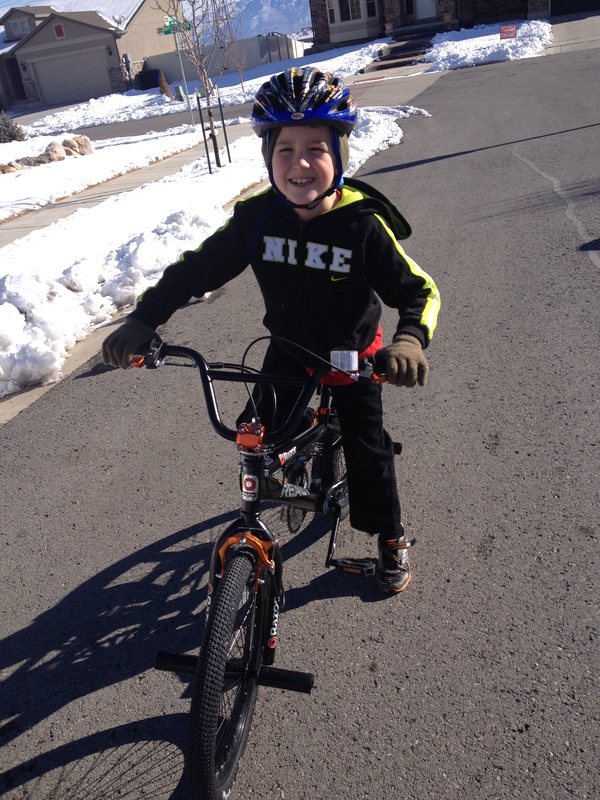 We attempted to test out oldest’s new birthday bike, but with the snow and ice it didn’t last too long. He doesn’t like change and those extra 6 inches are making a big difference in his confidence. The brakes are different as well, he’s used to pushing back on the pedal but the new bike has hand brakes. I can only be thankful that he tends to be overly cautious, and didn’t wipe out. That would have put him off of riding for weeks if not months. Part of me is sad that I didn’t spend any time in the kitchen making goodies together. At the same time, it’s a bit of a relief that they didn’t seem to want to either. With hubby and I both dieting, having cookies, cupcakes and other treats around isn’t a great idea. I still made cupcakes and a Minecraft inspired rice crispy treat “cake” for the birthday sleepover, and I won’t admit to how many crispy treats I ended up eating. Here’s to the next time the kids are off track! We’ve made it through one week of being off track from school and so far everything has gone well. Everyone is still talking to each other and the house has not been destroyed, yet. There is still time for that. 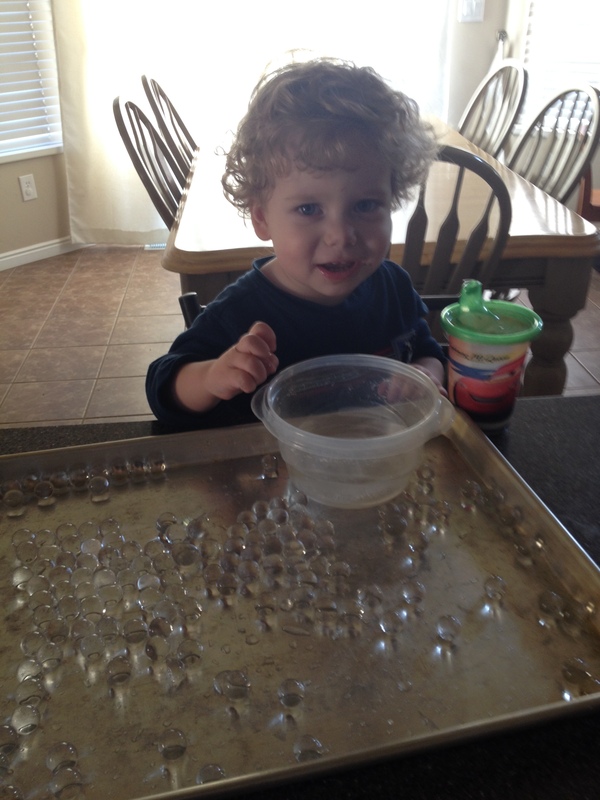 My youngest has uncovered an even more stubborn streak than before and is testing his limits right and left. As I type I’m letting him watch his favorite show on my computer screen, but he can’t be happy with just that. He also feels he must pull my fingers off of the keyboard as I type. 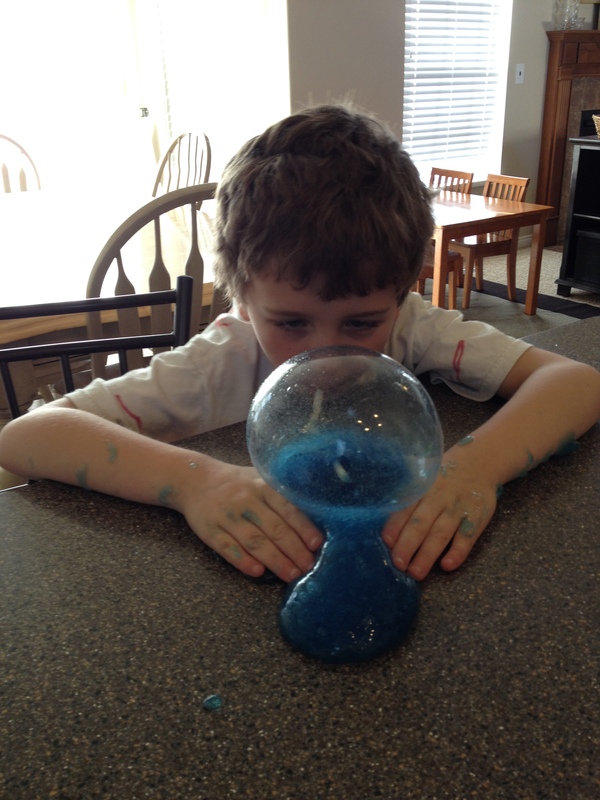 Homemade Gak – By far this was the favorite activity. The kids spent hours playing with the stretchy gooey stuff. We chose clear glue to make our Gak and discovered later that the chemical composition is different from with white glue. Mixing and mashing it with more and more water until it was usable took longer than I originally planned. In the end it still wasn’t as stretchy as I thought it should be, but was still really cool. As a side note, Gak works wonders to get dust out of the cracks of your keyboard, mine is sparkling clean now. You can also add essential oils to make it smell nice, peppermint worked great. Playing with the Gak was so popular that it took place of several of the other activities I had planned for the week. Super Absorbent Polymers – Also known as Orbeez, these spheres start as tiny BB sized balls and absorb 20-40 times their size in water. The kids loved watching them slowly grow over the course of several hours and then playing with them. They look like glass marbles and feel a little squishy when held. The clear balls disappear like magic in water. If let out to dry they shrink back to their original size over the course of several days and then can be stored and used again. We found ours in the vase and silk flower section of our local dollar store. The Planetarium – This year we received a membership to the local Planetarium, a terrific gift for any family with kids who like science like mine. Ours has a 3D Imax theater and a dome theater and has different shows throughout the day. It also has two floors of exhibits and hands-on activities that the kids love. This week we watched the 3D Imax Dragons movie. Minecraft – I didn’t want to get sucked into this game, but at the same time if this is what my kids want to do and it’s something we can do together, then it makes for good together time. We figured out how to share each others worlds and visit. I’ve made myself little homes and gardens in each of their worlds and then can come over and help them fight their zombies and find materials for building. I had hoped to be able to work on my projects as well this week, my manuscript is feeling rather neglected lately. With my youngest fighting naps and the other two at home, finding uninterrupted quiet time doesn’t happen. I did a little work on my query letter and through it was able to solve a major plotting concern that had nagged at the back of my mind. With luck, this week I’ll find a few hours here and there to get more chapters edited. This week marks the end of structured days of kids in school and the beginning of summer vacation. 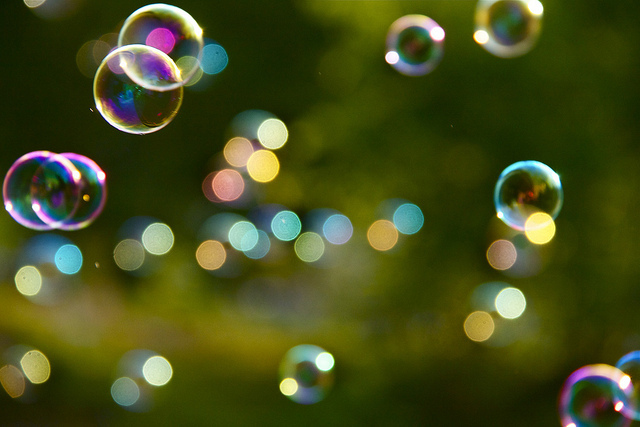 For kids, this is a magical time of freedom, discovery, and lots of play. For parents, this time comes with mixed emotions. There is no longer the pressure of the morning school rush and all its battles, but there are also whole long days of nothing on the calendar. For me, I’m looking forward to the change. There are so many fun things I want to do with my kids that were too complicated to manage during school. Now is the time for swimming lessons, day camps, play dates, sleepovers, summer crafts, and lots of outside play. At the same time I’m terrified. I need structure. The thought of having whole days with nothing on the calendar is very daunting. My first instinct is to go a little crazy and create a mommy school where my kids can grow their minds and hone their skills. There would be field trips where we would have in-depth discussions about science and art. I would become super mom plus, and drive myself crazy planning and creating activities. Then I realize, I also have a toddler who will make most of these plans really difficult. Having one-on-one time with older children to focus on their needs is super important. Doing it while wrestling a curious toddler is an exercise in patience. Planning outings and activities is harder when nap schedules need to be considered. This summer can’t all be about the kids either. I have goals as well. I would love to make some real headway on the current draft of my book. To do so requires hours of work at the computer, undisturbed when possible. There will be less of those with the kids home, yet I feel there should be more now that I don’t have to drive the taxi to school and back. This might just be the summer that the kids learn that mommy needs time to work on her projects as well. I wish I could say I have a brilliant plan about how this is all going to work. With only a few days left I better start making one or the summer is going to slip away before we even get started! To all those parents out there, good luck! May this summer vacation be the best one yet.